Specimens - In The Dust Of Idols. Vinyl LP. Bleep. South London ambient artist Specimens drops their second full-length LP. In The Dust Of Idols is a record of gorgeous and cerebral drones. The heavenly roll of entries like ‘The Unread Library’ and ‘Moving Forwards Constantly Looking Back’ is comparable to Arvo Pärt. Specimens provides variation with the occasional foray into dark ambient - ‘Chamber Voices’ is the pick of the bunch in this regard. 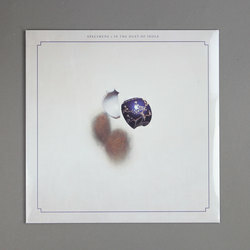 In The Dust Of Idols is out as a joint-release between SVS Records (Twoman, Belp) and Specimens’ own First Terrace.